In "Oz the Great and Powerful," opening March 8, James Franco plays a young Kansas magician who ends up the wizard of that magical land. 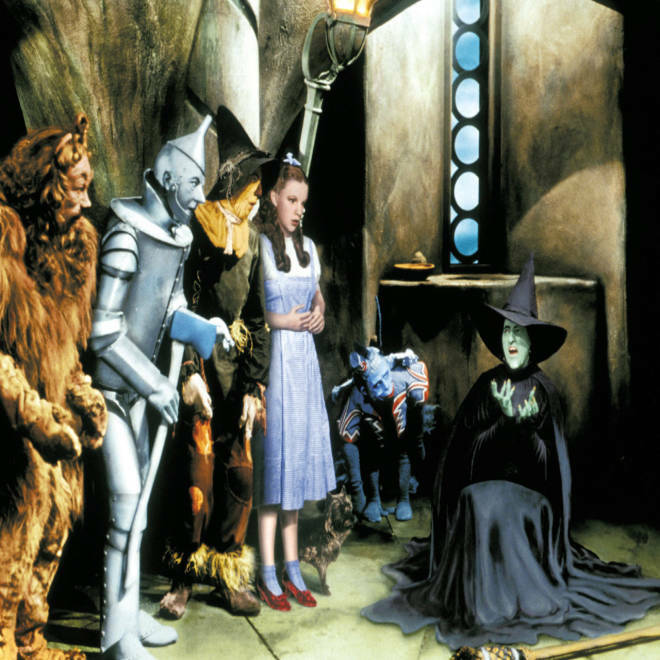 Thinking of bringing your child to the new "Wizard of Oz" prequel? Parents, take note: The two-plus hour movie is rated PG "for sequences of action and scary images, and brief mild language." 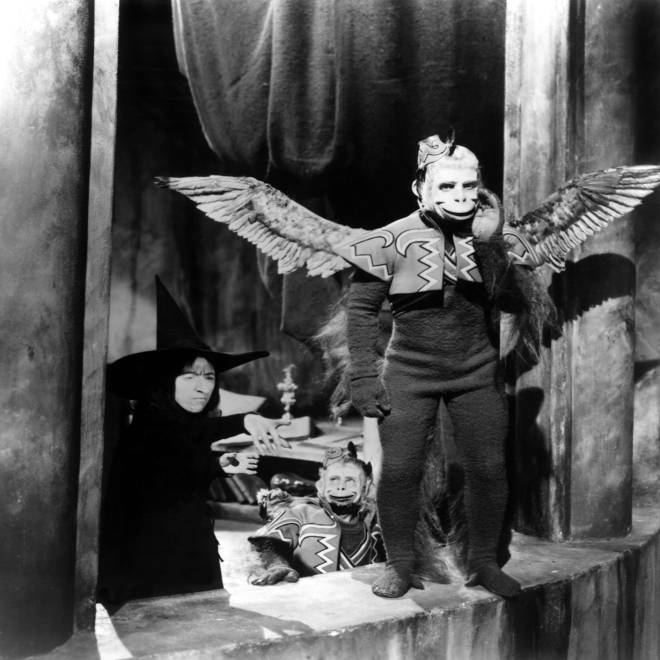 We hate you, flying monkeys of Oz. Action and scary images, huh? Yeah, we saw the original 1939 "Wizard of Oz," and we're here to tell you: Some of those "scary images" stayed with us for life. Here are five that we've clawed out of our memory banks. It doesn't seem that terrifying when you write it down. Monkeys, eh, not the most frightening member of the animal kingdom. Why does adding wings make them the worst thing this side of Freddy Krueger? They're unnatural, of course, and just creepy. And when the witch sends them en masse after Dorothy and friends and they darken the sky with their numbers, well, any kid who had nightmares knew exactly what caused them. 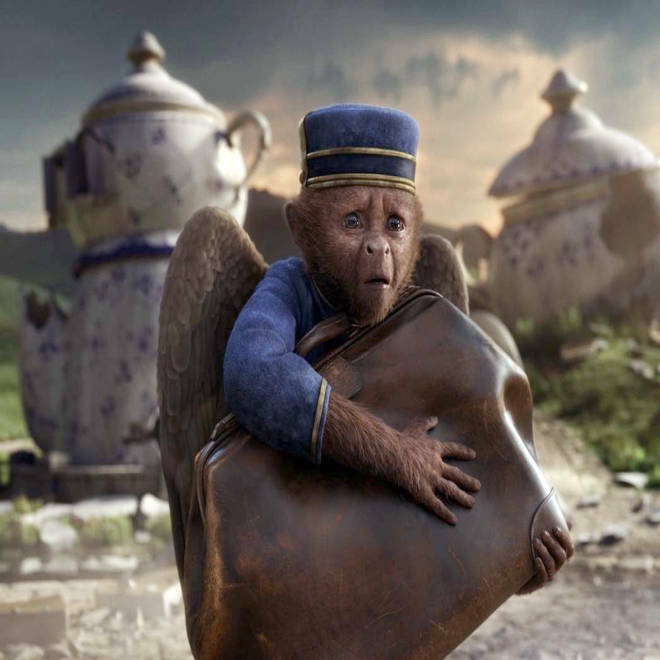 Finley, a flying monkey from "Oz the Great and Powerful," isn't as scary as the 1939 flying monkeys. Oh, we all wanted the Wicked Witch to get killed, no question about it. But that doesn't mean it wasn't a little jolting to see her slowly sizzle and melt into the ground, screaming all the while. More than a few of us felt the same way about water when Mom insisted we take a bath, so we could relate. One little nip, and that's all it took to condemn Dorothy's sweet little dog to death at the hands of evil Miss Gulch. We have to say, Auntie Em and Uncle Henry were zero help here. We were completely traumatized until sweet little Toto escaped the Bike Basket of Death and was once again reunited with Dorothy. It doesn't get a lot better for dog lovers on the Oz side of the curtain, where the witch threatens to drown the little pup. Pay no attention to the man behind the curtain! No problem, we're too busy staring at the creepy giant floating green head that the Wizard somehow thought would be an impressive and majestic representation of himself to keep Oz in line. Are we sure this was supposed to be a kids' movie? What's your scariest "Wizard of Oz" memory? Vote in our poll, and share with us on Facebook.